The 18th Brussels Development Briefing on “Natural disasters, humanitarian assistance and rural development” took place on 12th May 2010 (8h30-13h00) at Borschette Center. 108 participants discussed the Humanitarian needs and responses looking at recent trends and challenges. In fact, the earthquake in Haiti as many other recent natural disasters have highlighted the fragility of some States and the need for strong institutions able to strengthen risk reduction mechanisms and disaster preparedness. In this respect, the need for coordination and effectiveness in interventions by donors and actors is a key issue. We looked at the impact of natural disasters on rural development. A special emphasis was put on the role of agriculture and rural development in rebuilding and rehabilitation efforts. The number and frequency of natural disasters is growing. Population growth, climate change and natural resource scarcity will increase humanitarian needs and food aid, especially in the most vulnerable countries. This panel will review current trends, main players and challenges in emergency responses. In the context of the new EC communication on Humanitarian Food Assistance, this panel will discuss the lessons learnt from recent natural disasters and the needs to ensure a long-term recovery with strong institutions able to cope with disaster preparedness and effectiveness of response. It will look at the need for coordination by donors and actors. 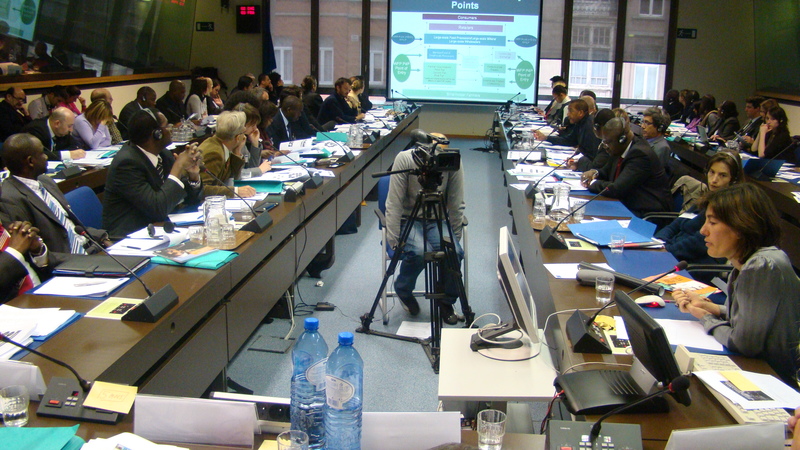 -Rehabilitation in agriculture and rural areas: what can we learn from recent experiences?